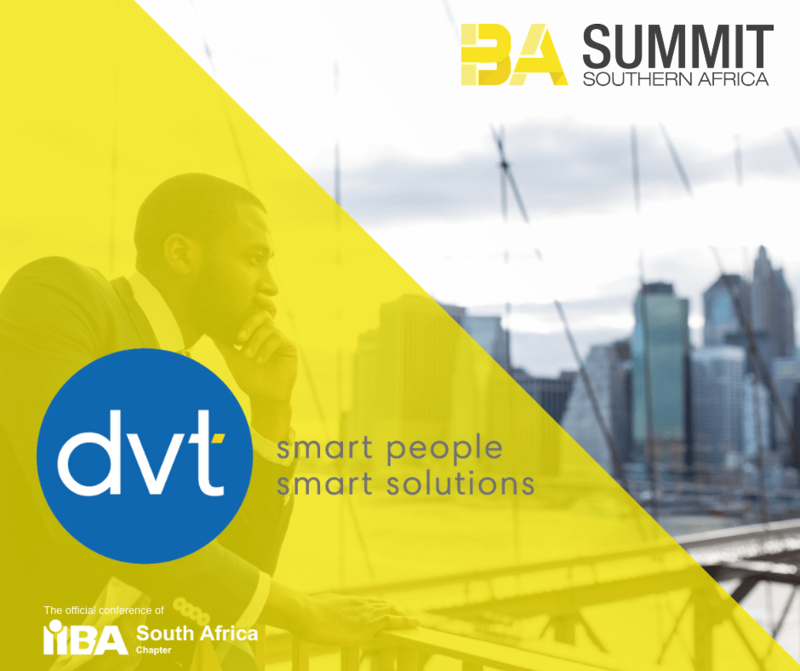 Software development and testing specialists DVT has signed up as a bronze sponsor of the BA Summit, taking place on the 1 – 3 October. The company will actively contribute towards the summit by having three speakers present at the event. Edward Ngubane, who is head of business analysis at DVT and a member of the IIBA-SA board, will speak on the success of BAs in their chosen career by providing practical and useful tips to the audience. Ngubane’s passion for business analysis goes back many years, and he has also been instrumental in launching the IIBA-SA’s mentorship programme for 2018. According to Ngubane, DVT organises quarterly Business Analysis Thought Leadership Conferences which provide the perfect platform to showcase BA’s skills and talents. These events have also become more popular with DVT clients. “Through this platform, we are able to empower our business analysts in three key areas – the soft skills that can make or break them in their craft, the technical skills that they need on a daily basis and the awareness of what is on the horizon – the future of the BA profession,” notes Ngubane. DVT’s Carina Fourie, transformation coach & principal consultant will talk on using conversational intelligence to build trust in software development teams, touching on soft skills. A specialist Strengths Coach & Enhanced C-IQ Practitioner, Fourie’s talk will provide an eye-opening perspective on the impact of what we say and how we say it. “Sound research has been invested in C-IQ based on the neurochemistry of the brain through conversations. Some discussions can make us feel good or bad because neurochemicals released in our brains affect how we feel,” says Fourie. “C-IQ therefore lies at the heart of building trust. A safe environment without fear is required to achieve this. By tapping into C-IQ, conversations trigger different brain activities for constructive communication,” says Fourie. Finally, DVT’s Reggie Musonza, a CBAP with active involvement in IIBA-SA activities will also be a speaker at the event. He is passionate about delivering value, sharing experience and knowledge. It is not surprising that his topic for the conference is ‘Realising value through benefits management’. Musonza is involved with the organisation of the BA Summit and assists with IIBA-SA Lean Coffees for the Johannesburg region. Join DVT at the #BASummitSA 2018 by visiting our stand and by supporting our speakers. Follow us on Twitter @DVT_Corporate or visit our website: www.dvt.co.za for more information.